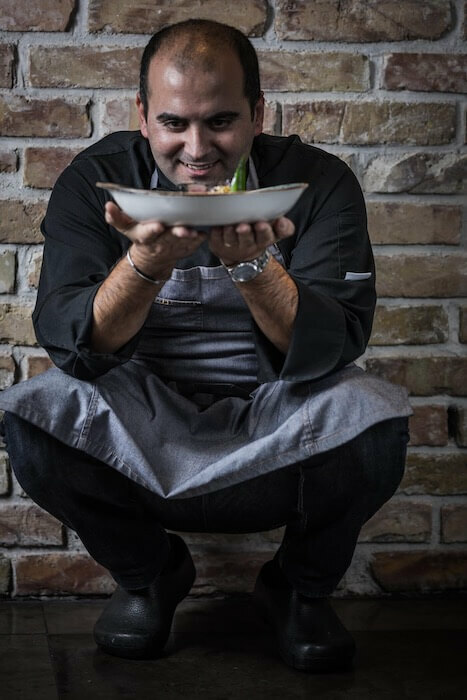 Byblos Budapest represents a marriage of Eastern and Mediterranean cuisine with strong influences from both traditional and local ingredients. Using classic and modern methods, our dishes showcase the regionally specific spices and flavours of the Levantine cuisine. The menu is a true journey between the Mediterranean and Oriental flavour, Byblos Budapest serve a wide selection of vegan dishes, plus perfect halal cuts served, family style in a convivial atmosphere. Me and my Brother’s dream came true with the opening of our kitchen. We have more than 20 years experience in world famous 5 star hotels and restaurants. 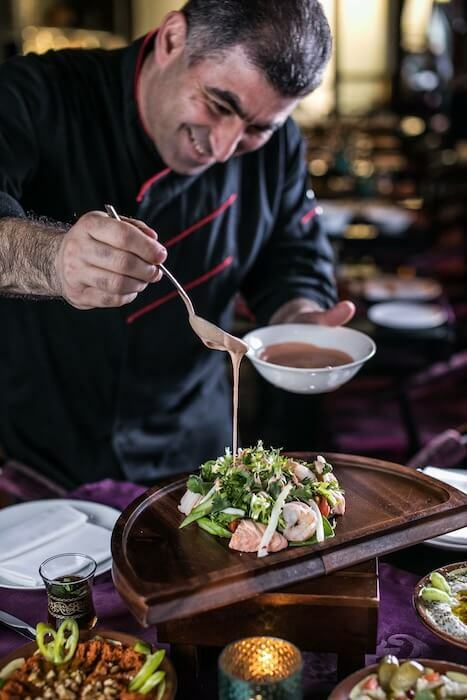 Byblos Budapest offering to our dear guests the finest ingridients of Lebanese and Levantine cuisine and bring narrative to each plate. We wish you a good appetite and thank you for honoring our restaurant! 1052 Budapest Semmelweis utca 1-3.